Berry Gordy began Motown in 1959 with an $800 loan from his family. He converted the garage of a residential house into a studio and recruited teenagers from the neighborhood—like Smokey Robinson, Mary Wells, Marvin Gaye, Stevie Wonder, and Diana Ross—to sing for his new label. Meanwhile, the country was on the brink of a cultural revolution, and one of the most powerful agents of change in the following decade would be this group of young black performers from urban Detroit. 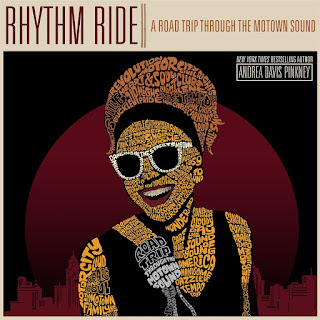 From Berry Gordy and his remarkable vision to the Civil Rights movement, from the behind-the-scenes musicians, choreographers, and song writers to the most famous recording artists of the century, Andrea Davis Pinkney takes readers on a Rhythm Ride through the story of Motown.